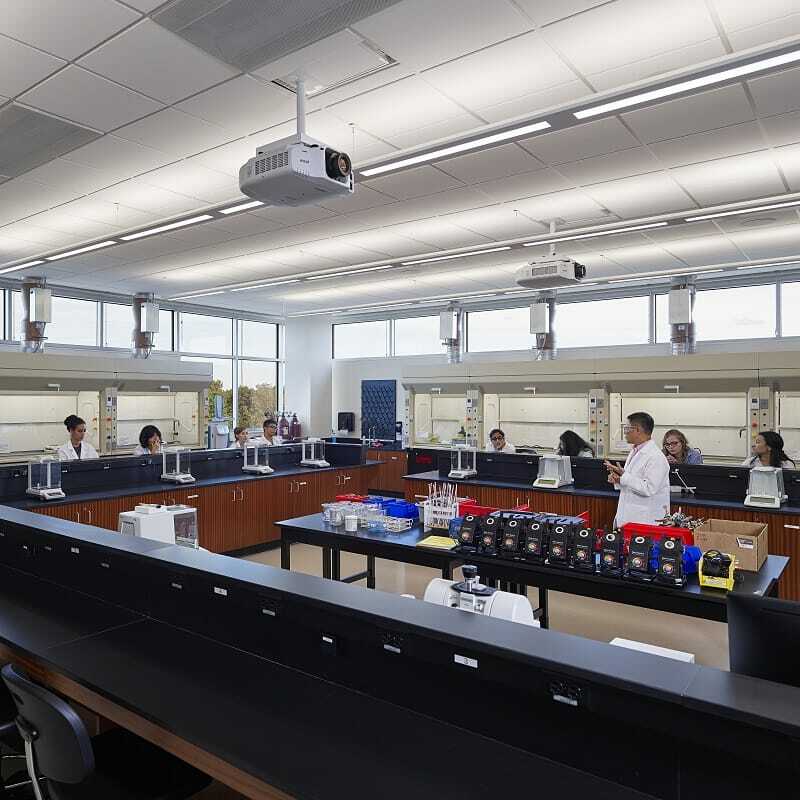 Gilbane’s extensive experience on higher education campuses enables our team to understand the challenges that come with building specialized classrooms such as science and IT laboratories. The construction of the new Science, Engineering and Technology (SET) building plays a pivotal role in preparing students, young and old, for in-demand 21st century careers. This new facility is prominently located at the main entrance to the campus and surrounded by several bio retention ponds. The project achieved LEED Gold Certification through sustainable elements such as the bio retention ponds, access to public transportation and innovation in design. The exterior façade features masonry brick to a cast stone sill, a ‘popped’ curtain wall, panelized terra cotta rain screen system, and metal panels at the roof level. Set on a traditional spread footing foundation, this four-story steel framed building features a partial basement and service tunnel connected to a separate service yard. The team used Revit to design the project and BIM during preconstruction and construction. 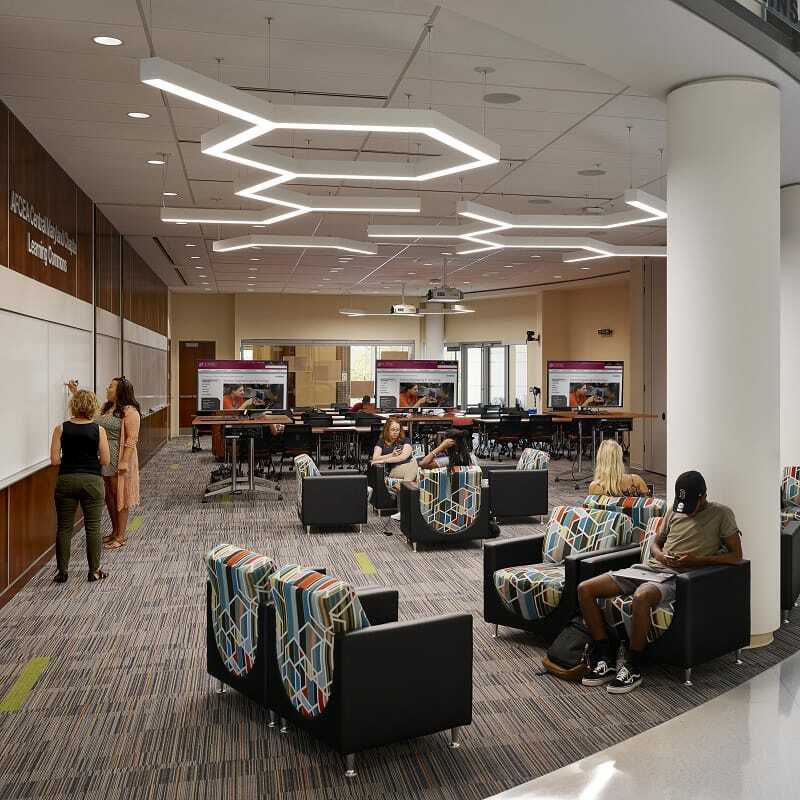 The first floor features a learning commons and community room, while the second floor contains support areas for networking, lectures and group study. Intensive HVAC and fume hood infrastructure, casework, faculty offices, a greenhouse and conference space are all housed on the third and fourth floors. The partial basement includes MEP and back-up power spaces, IT equipment, housekeeping and storage rooms. With over 30,000 commuter students, this is an incredibly busy campus with thousands of cars passing by the project site on a daily basis. The building is prominently located on campus – right off Campus Drive between one of the main campus entrances and the West parking garage. In order to keep the project safe, timely, and on-budget, our team developed practices customized to an active and occupied campus. Gilbane contained the site to provide for contractor parking, laydown and staging. Vehicular access was provided off Campus Drive to a service delivery road that feeds the Rouse student services building next door. 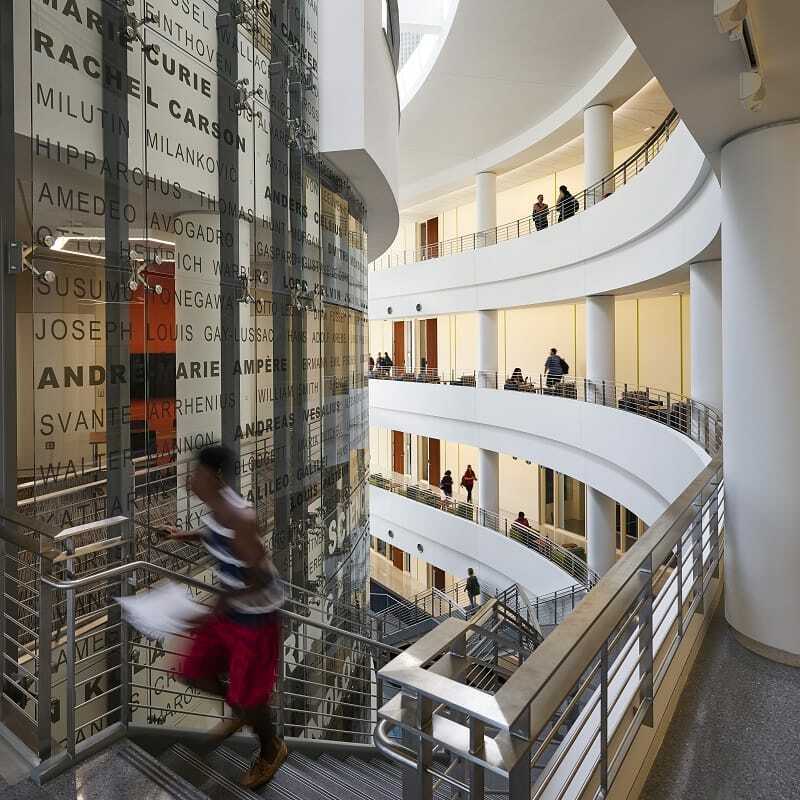 Gilbane worked closely with the college’s Department of Public Safety to design and finalize delivery routes, turn lanes and pedestrian walkway traffic.